Have you ever drastically changed your diet and noticed you are getting puffy in the face or breaking out with acne? I was recently scrolling through pictures of my prep and there were certain weeks where I not only looked tired, but had acne worse than my teenage years! WTF?! The actual check in pic, unedited (well you see the major edit!) Acne, tired. Meh. Your hormones change along with your diet, which can also cause drastic changes in your skin. Unfortunately for me, I also have very sensitive skin which makes it hard to find a cleanser with salycilic acid that doesn’t make me totally red. Never leave your home without SPF on your face. Make sure to use makeup or moisturizer that contains SPF. If in the sun like Mexico, opt for an SPF 100. Use bronzer because I’d rather be fake tan and young then look old AF from UVA/UVB rays. Don’t get in a tanning bed: I’m not going to slam you with research but skin cancer is real, and if you’re hopping in a tanning bed you’re not excluded from this. I used to tan in high school, but now I won’t be caught dead. Opt for a spray tan with a true professional, like Amanda Bluestein at Maplewood Beauty Bar. Drink Water: Water has incredible skin benefits and hydrated skin is healthy skin. Don’t go to bed with makeup on: If you’re not going to take it off, invest in makeup remover wipes to keep by your bed! Here is my skincare lineup…. I choose Mario Badescu for a lot of things because they lean towards natural botanicals and are gentle on skin. They are also highly reasonable in regards to price. 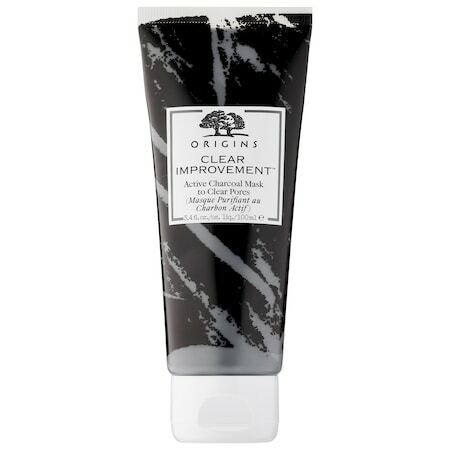 This is a very creamy cleanser that can be used on sensitive skin. This is formulated with Isodecyl Salicylate (a gentle beta hydroxy acid also known as Keratoplast) to help rid the skin of pore-clogging buildup. I use twice daily as cream based cleansers won’t dry out skin. I actually don’t use this product all of the time. It’s very small and can dry out skin. When I am having an extreme breakout, I find this helpful in treating existing acne or helping with blackheads. I use this twice daily after cleansing, first because it contains Collagen (anti-aging), is rich in Vitamin E and also has SPF 15, which prevents further sun damage. I use this very sparingly as it is a super strong mask. The mask gets firm and tight which get out nasty oils and toxins. Again this thing gets TIGHT. It can dry out your face, so I only use during a breakout. In the spirit of full disclosure, I will admit to you that I do get botox. Only every 6 months to once a year. It is purely preventative and I only got slight injections near the outside of my eyes. Botox prevents aging, as well as assists with fine lines and wrinkles. If you are going to do it, I recommend finding an honest, licensed professional. I may get some criticism for my Botox use, but I don’t really care. I believe that in an age of Instagram and filters, there has to be honesty around what we will do for vanity. I honestly don’t think it’s fair for fitness bloggers or beauty bloggers to post and say “get my look” with only partial honesty. I started this blog in the belief that as women, we are often expected to live up to impossible standards, and let’s be honest: Nobody’s killing it. I’m not. I’m all like, “Don’t worry I’m just over here holdin down a marriage, owning 100 dogs, competing in a bodybuilding competition and embracing a career at a large company. PIECE OF CAKE.” Nope. It’s stressful, sometimes so stressful I sit in my car and cry. You want my life? Well it’s good, but it was super hard to get here. Don’t get me wrong, I love my life and my career, but it doesn’t mean that sometimes managing it is hard, and I don’t feel guilty for it. So in parting; can money buy happiness? Nope, but it can buy you Botox which in that moment is what I wanted and needed. #SORRYNOTSORRY. So let me leave you with this parting thought for the day: Unless someone is paying your bills, they aren’t entitled to an opinion. Do what you want, and do it with authenticity and honesty. If you have more questions about skin care, diet, or botox, DROP EM BELOW!